Large thermostatically controlled, directly heated chalets with outside covered runs where your cat may relax while watching the birds on their feeders. We also have a fully enclosed garden with water feature and large climbing tree for your cats to relax and stretch their legs in the sun! 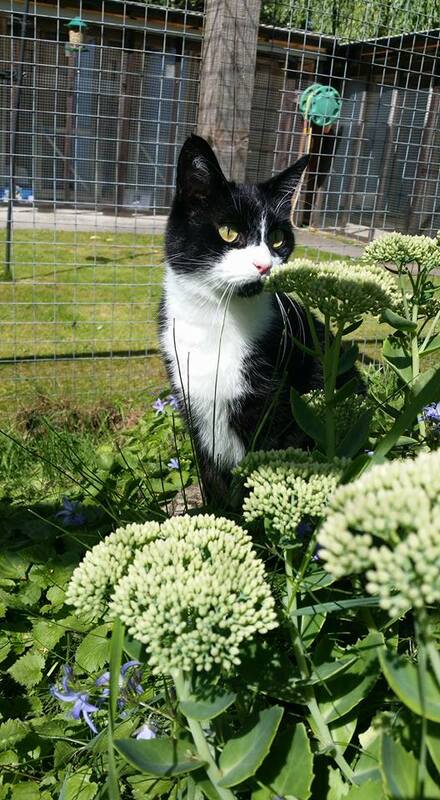 We have chalets suitable for up to six cats, so there is no need to split a family. The cattery is away from the kennels so that the cats are not disturbed by dogs barking. We stock a wide variety of foods at all times. Please discuss your cat’s requirements on booking. All cats must be fully vaccinated. If proof of vaccination is not shown on arrival, we will not accept your cat for boarding. We are happy to administer most medications as required. Your cat’s requirements must be discussed on booking.